Regardless of your culinary skills, a top quality knife always enhances the talents of those who wield it with flair! 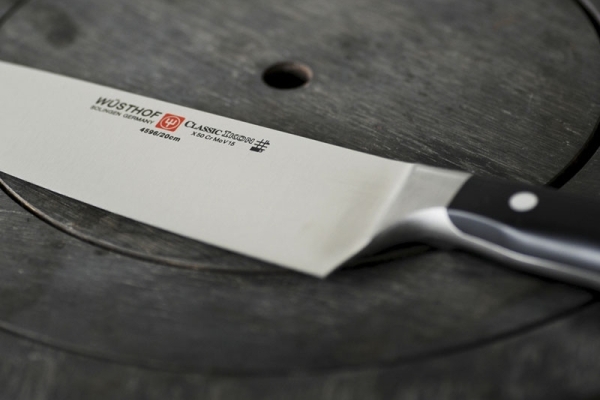 Wüsthof knives have helped chefs and cooks of all stripes to surpass themselves. Since 1814, the company has never stopped pushing the limits of perfection and customer satisfaction. In its quest for excellence, Wüsthof presents a new wave of culinary professionals who stand out, just like their knives. Their slogan is telling: defining the Edgë. Wüsthof invites you to meet chef Richie Nakano (the Rëbel), butcher Camas Davis (the Pöet) and chef Jonathon Sawyer (the Bëliever). This select group offers a generous glimpse into their lives, careers and vision of gastronomy.